I'm trying to do a few more personal, lifestyle posts on the blog. I feel my blog is kind of lacking the originality that it once had. Recently Clint and I have been looking at moving out and getting a place together. I think we are just looking at renting for now so we can start our own lives together. The thing with renting is you are quite limited to the changes you can make so finding somewhere thats clean and modern enough is proving difficult. 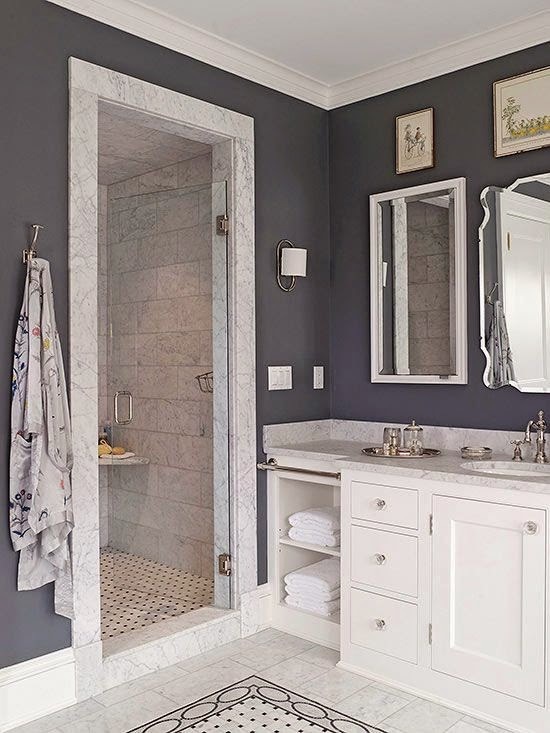 I have been spending alot of time on Pinterest looking at white beautiful bathrooms and vintage style kitchens planning what our home will look like. 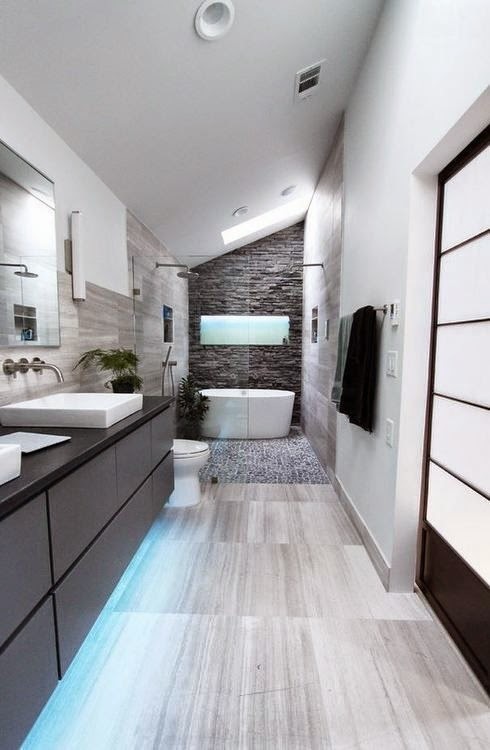 For my dream bathroom so money is no object i'd love a simple white suite, so that if I redecorate I could keep the same suite, i'd love a bath and a separate shower. There's some really gorgeous showers nowadays, they are sleek and fashionable. 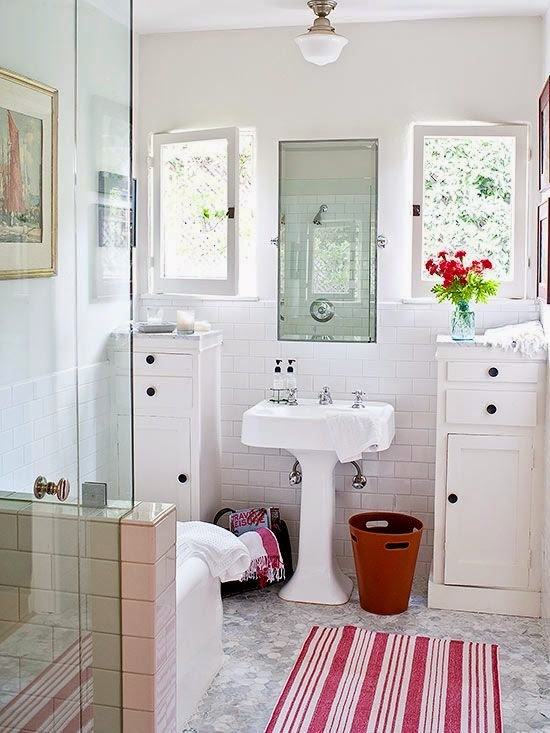 UK Bathrooms have some really lovely suites and furniture to create that dream bathroom. I would need quite alot of storage space as I think we would be looking at a small house or a flat for our first home as it's just the two of us but I want the bathroom to be tidy and not cluttered so drawers and units would give us that extra storage that we need. 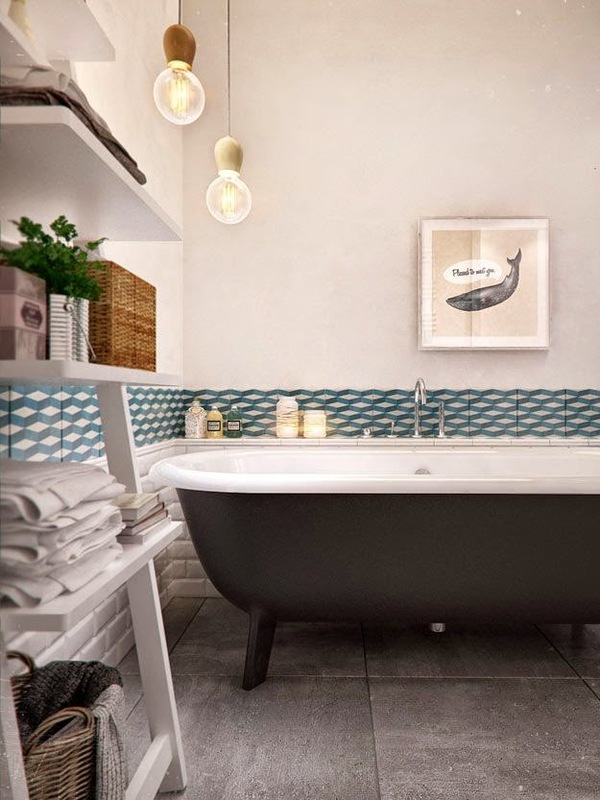 Now for my dream bathroom i'd want a jacuzzi bath and a massaging shower, there's an interesting article here on Showhome about how the demand in recreating a home spa experience has increased. For our first bathroom its going to be all about how we accessorize, i've spotted a gorgeous chevron shower curtain in Asda and will probably stick to white and silver accessories so if we move house we can bring them with us. I want it to look clean and not cluttered so I'm not going to go overboard with accessories just the essentials.